Ansteys House is part of the existing Roundhams development of 5 individual townhouses finished to a very high standard. The accommodation is set over 3 levels with downstairs cloakroom/wc, sitting room and quality modern fitted kitchen/dining room with integrated appliances makes up the ground floor. 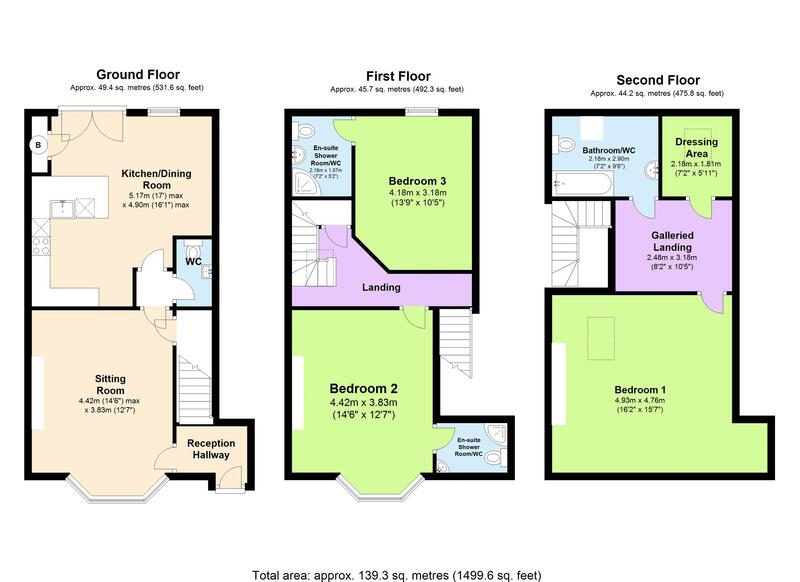 On the first floor there are 2 double bedrooms, both having en suite shower room/wc. 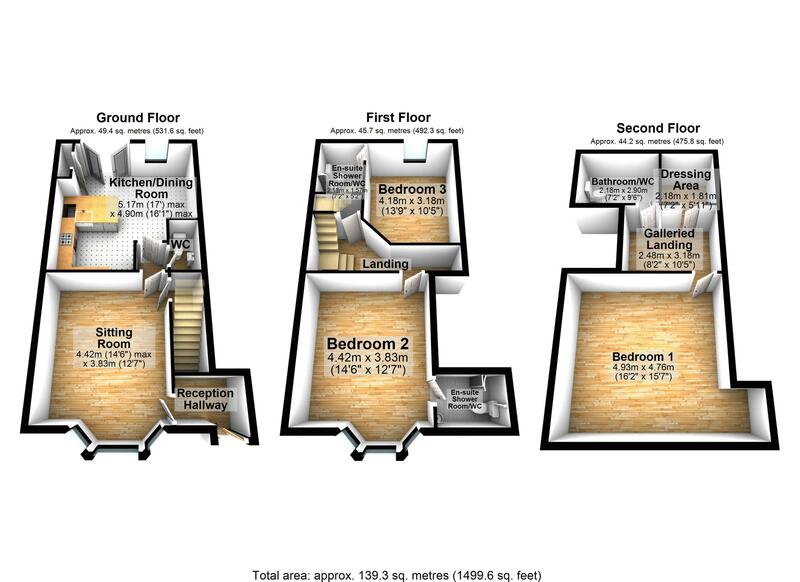 On the second floor there is a further double bedroom, family bathroom/wc and a walk-in wardrobe/dressing room. Outside there is allocated parking for 2 cars, 2 garden areas to the front and enclosed courtyard garden to the rear.